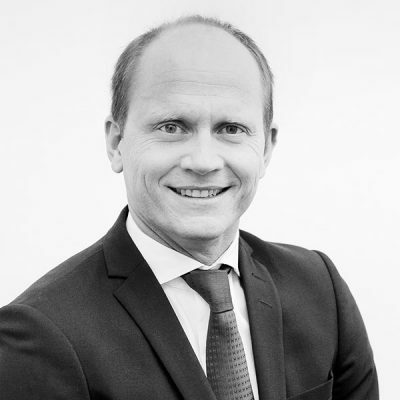 Hendrik Haas has more than 18 years of professional experience in top management consulting firms, DAX corporations (software and telecommunications) and medium-sized companies (retail). His focus is on fundamental strategic issues, in particular the use of technologies and potentials of digitization as well as the associated requirements and effects. He advises cross-industry companies and has extensive experience in telecommunications, media, utilities, professional services, financial services and retail/logistics. In recent years, Hendrik Haas has dealt intensively with the effects of corporate transactions and restructurings on IT, such as carve-outs and post-merger integration projects, as well as changes in IT (cost reductions, reorganizations, technological change). He studied business administration with a focus on marketing, management and trade in Koblenz after completing a commercial apprenticeship. Hendrik Haas is married and has two children. In his spare time, he is an enthusiastic sportsman and volunteers his time to look after the next generation of sportsmen and sportswomen. Excellent results are achieved by consulting in a team of clients and consultants. Each with his or her respective task or role, closely coordinated and committed to (project) success. As a former handball player, the slogan of my home club in Gummersbach – Passion united! – also applies to my projects. Very different. Family, body (sports), mind (reading), sociability (friends). I am more interested in the future than in the past, because I intend to live in it.